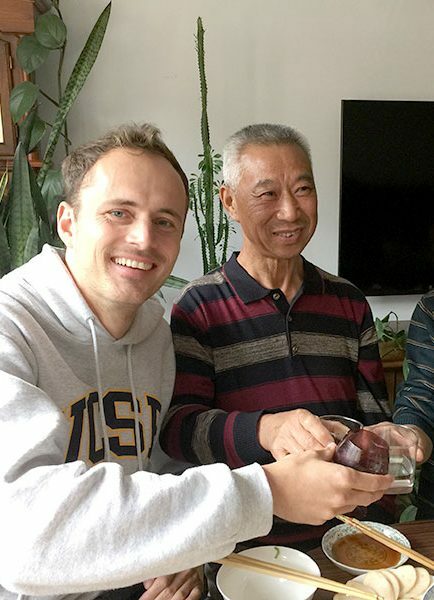 Living with a homestay in Chengde is a great opportunity to not only practice your Mandarin, but also quickly become part of local Chinese life and make friends quickly. 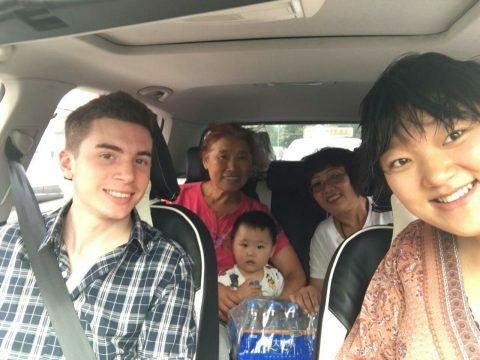 We have been working with our host families for many years, they know how to support and deal with foreigners studying abroad in China even though students often don’t know that much Mandarin yet. 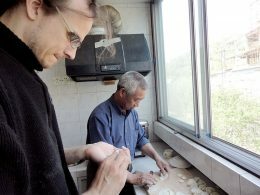 As there are no foreigners living in Chengde, having an international student living in your home is quite an interesting experience for both sides. Learning Chinese in Chengde is very different to studying Mandarin in a group in Shanghai or a Chinese semester in Beijing. At our school in Chengde there is no international student community, no after class dinners and no lunch club where students eat together and socialize. All life is local Chinese only and your friends will be exclusively Chinese. Living with a homestay is a great way to quickly have a home base, meet locals and of course discover real Chinese life. In Chengde 95% of our students choose to live with a homestay. All apartments are modern and fully furnished. You will have your own bedroom and either a shared or private bathroom with a western style sit down toilet. Your bedroom will be spacious with a desk and wardrobe for you to use. The kitchen, living room and all other common areas are shared with your host family. WIFI and all other bills are already included in the price. Life in a Chinese family is usually mainly about eating big meals together, visiting relatives and organizing weekend outings. Every family is different, but popular weekend trips are visiting one of the imperial parks in the city, go hiking in the mountains or join friends or relatives for a meal. In a Chinese family dinner is the highlight of the day and a meal usually consists of several meat and vegetable dishes. Beware though as healthy home cooked Chinese food is incredibly tasty, you might be quite disappointed when eating westernized Chinese food in a Chinese restaurant back home after studying in China. If you have special dietary requirements, please let us know and we can organize accordingly. Each family is of course different and while some are a whole clan living together in a big house ranging from grandparents to toddlers, others are just a married couple with one child that either still lives with them or has already moved out. There is no one size fits all approach to homestays and matching you with the right family is what we are best at. We will ask you about your preferences, from pets, children, non-smoking habits, age preferences etc. and based on this find the perfect family for you. Prices already include all bills, WiFi and other expenses. Like with all LTL programs, there are no hidden or additional fees. We do NOT charge any registration or accommodation finding fees, no high season surcharges or anything like this. You will pay exactly what is listed here and not one cent more. 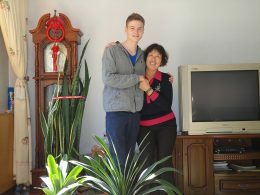 My host family were fantastic, not just for my Chinese but in looking after me. The biggest lesson I have learnt in China is to just go for it. No-one in China is standing still, everything is always moving, always shifting, and if you want something, just do it! My homestay was the best! They were amazing! They were like my second family. I liked it when Shushu cooked; he makes the best food. I was originally supposed to stay in Chengde for a month and then I ended up staying for four! I decided to go to Chengde to try a new experience. 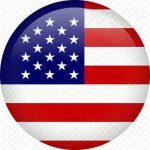 My Chinese host family has helped me a lot to speak with the correct tones and use the right grammar. I would really recommend to learn Chinese with LTL Mandarin School in Chengde. I came to China not knowing what to expect. I had studied Chinese in the classroom a little, but on arriving at my new homestay family in Beijing, my first thought was, “What have I let myself in for?” My host family didn’t speak English, the weather was hot, and the sights and smells were totally unfamiliar. Fortunately, within the week these problems had righted themselves. My host family were fantastic, not just for my Chinese but in looking after me. The smell turned out to be the smell of dinner, and having tasted it I pretty quickly began to love the smell, following the delicious aromas to the kitchen to enquire what they came from and practice my Chinese. Meeting Chinese people and making friends turned out to be a side-effect of practising my Chinese. Once I realised I could just start conversations with anyone, no matter how basic, I discovered that what I thought was a disapproving glare (seen in old Chinese people wherever you go) turned out to be curiosity, a smile and a greeting makes the most stern looking Chinese person beam radiantly and start talking excitedly. I went on holiday three times with my host family, to the Buddhist holy mountains of WuTaiShan (for which I temporarily converted to Buddhism as a conversation piece), to Xi’an (where I was unwittingly lured into giving an Elvis impression to over a hundred old Chinese pensioners), to Sichuan (where in two weeks I, probably forever, ruined my digestion). The biggest lesson I have learnt in China is to just go for it. No-one in China is standing still, everything is always moving, always shifting, and if you want something, just do it! Want to practice Tai Chi? Just find some old ladies in a park and ask if you can join in. Want to find an obscure item? Just ask anyone, from the taxi drivers to the security guards outside the building. Want to try/learn about Chinese tea ceremony? Just go to a tea shop and ask questions. Chinese people are invariably helpful and generous, and speaking Chinese is a sure ticket into any Chinese person’s heart. These past 10 months I’ve been in China studying Mandarin with LTL. I started out in Beijing and then for the final leg of my trip I was in Chengde, Hebei. My homestay in Chengde was the best! They were amazing! They were like my second family. In the mornings I’d wake up at 6am to do some morning exercise with Nainai (奶奶, grandma), we’d go public square dancing (广场舞, guang chang wu) and then after that was done I played air volleyball (打气排球, da qi paiqiu) with the locals. Then I’d come home to find Nainai making breakfast, everyday was something different, but we normally ate hard boiled eggs, xiao mi zhou (小米粥, millet porridge), man tou (馒头, baked bread) and fresh raw vegetables with bean dip. After breakfast I’d get ready for class. By the time class was over Biaomei (表妹, younger sister cousin) would have already come home from school and Yeye (爷爷, grandpa) would be in the kitchen making lunch. All six of us, Yeye, Nainai, Biaomei, Ayi (阿姨, Auntie), Baobao (宝宝, baby) and I, would watch TV and eat lunch together. In the afternoons sometimes I’d go grocery shopping with Ayi and Biaomei, go to work with Nainai, or just walk around town by myself. After Shushu (叔叔, Uncle) came home from work, he would cook dinner. I liked it when he cooked; he makes the best food, especially his fish. Sometimes I’d watch him cook and try to pick up a few tips. After dinner Nainai and I would go out dancing again. That was basically my daily life when I was at the homestay and I really enjoyed it. 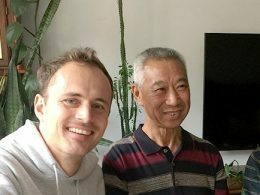 My Chinese host family has helped me a lot to speak with the correct tones and grammar. I would really recommend to learn Chinese with LTL Mandarin School. How will I find my homestay? With the Chengde survival kit our coordinator will pick you up from the train station and bring you to your homestay. The Chengde survival kit is already included in our Chinese Immersion programs, multi-city Chinese courses and most of our gap year programs. Can I choose a Teach English Homestay in Chengde too? We do not recommend Teach English Homestays for an immersion program because as you will be teaching English, it will therefore not be a complete Mandarin immersion experience anymore. However, if this is financially the only way possible for you to do this, we can organize Teach English Homestays in Chengde too. The price will then be 50% discounted for teaching 6h of English a week to family member. Your family will either do your laundry for you or you will have access to the laundry machine to use yourself. Both options are of course free of charge. Is there enough to eat? Oh yes there is! You will be a guest and treated as such. That means plenty of food for every meal. If you want to watch your waistline and not eat as much, please let us know in advance so we can talk to the family. Home cooked Chinese food in general is very healthy and light, but if you try to finish all food that is served at every meal then you might risk putting on a few extra kilos. Traditional Food in China – What are the Top Five Traditional Chinese Dishes? You will communicate in Mandarin of course. Depending on how much Chinese you learned beforehand either at home or in a Chinese course in Beijing or Shanghai you might use an electronic Chinese dictionary like Pleco, hand gestures or simply point at things. Our homestay families are very experienced and used to this. 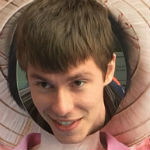 They will most likely have a translation software ready too. Your Chinese lessons will also focus on teaching you the language skills needed for daily life at home. Should I choose all meals or just breakfast/dinner? This is up to you. 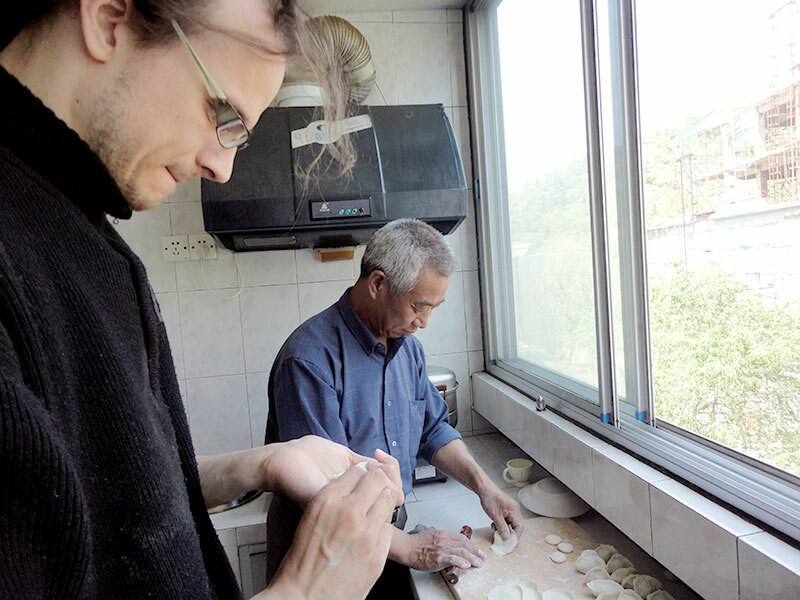 Eating at home for lunch is very convenient and the best food in China is always home cooked, so the all meals homestay option is very popular. If you however prefer to go out for lunches during your breaks with your teacher then this is not a problem at all either. Do I need to bring bedding or towels? No you don’t. Bedding and towels will be provided. Also, even though it is little known outside China, Chengde is still a bit city with half a million people living there. Buying toiletries and daily necessities is not a problem and much easier than carrying your own stuff half around the world with you. Can I book a homestay without a course? No, unfortunately you cannot. Our homestays are very popular and we are regularly booked out. It takes a lot of time to organize and manage homestays, so we reserve our homestays exclusively for our students. How long can I book a homestay for? You can book a homestay for anything from one week up to a whole year. The longer you stay, the cheaper it gets. Remember though, you must be an LTL student to book a homestay. You cannot just book a homestay and not take lessons with LTL. Will I get a key? Yes of course you will get a key to the apartment. You come and go as you please, however if you will miss dinner, spend the night camping on the Great Wall or travel to Beijing for the weekend, please let your family know. You can also lock your own room if you want to. Having a shared apartment in Chengde is an ideal way to save some money with a bit of extra privacy. You will have your own bed room, a private or shared bathroom and access to the kitchen, living room, and laundry machine. 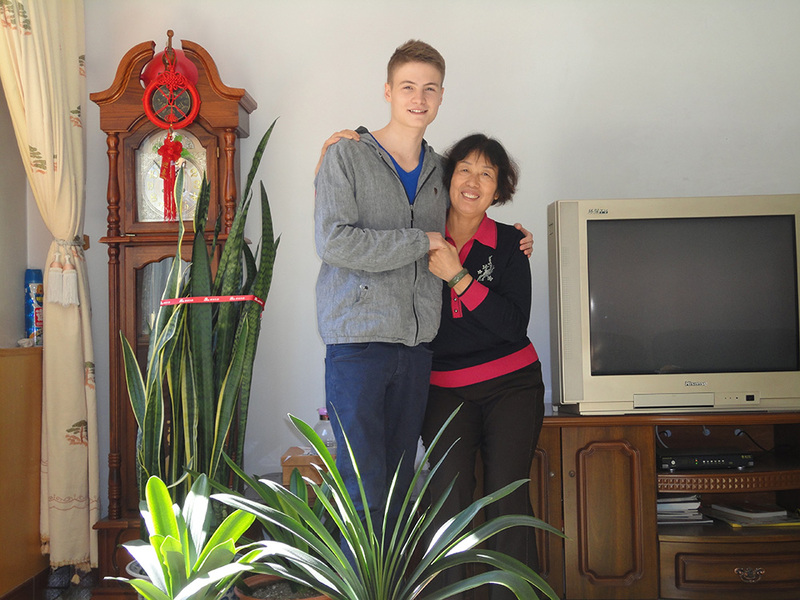 Our Homestays are an opportunity of a lifetime and they are hugely popular with our students who come to Shanghai. Living with a Chinese family who only speak Chinese helps enhance your Chinese further. LTL Mandarin School believes that Chinese study should not be limited to the classroom. When you study in China you can fully immerse yourself in Chinese culture, giving a deeper understanding of the Chinese language.